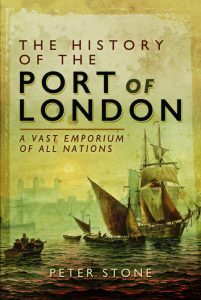 During the final twenty five years of the 17th century the conurbation spread westwards, with the creation of Bloomsbury, St.James’s and Soho, but there were few major developments in London during the following quarter century. From around 1715 there was a new sense of general confidence and during the reigns of George I and II London expanded further west, across the fields of Mayfair as far as the eastern edge of Hyde Park. Amongst other developments in the area during that period Hanover Square, Grosvenor Square and surrounding streets were created and the Earl of Burlington laid out Saville Row and the neighbourhood behind his palace on Piccadilly. To the north of Oxford Street Edward Harley developed Cavendish Square, a network of streets and a market on his land at Marylebone Fields. Robert Walpole of the Whig party was the most influential politician of the first half of the 18th century. He rose to the position which became known as the King’s ‘First Minister’. He is therefore acknowledged as Britain’s original Prime Minister and the first in such a position to officially reside at 10 Downing Street. During his time in power he was criticized by many of the leading writers, including John Gay (who satirized him in his Beggar’s Opera), Alexander Pope, Jonathan Swift, Henry Fielding and Samuel Johnson. After twenty two years in opposition the Tories finally swept back into power in the General Election of 1710. Supporters of the Church of England, they had long been frustrated by the rise of non-conformist Protestantism. In 1712 they passed an Act for the building of fifty new Anglican churches in and around London. Nicholas Hawksmoor and James Gibbs, two of the outstanding architects of their generation, acted as surveyors responsible for overseeing building work, leaving us a lasting legacy of some of London’s finest churches. The Dissenter-dominated Whigs came back into power from 1715 and enthusiasm for the project waned, leaving only twelve churches completed. At the same time that Hawksmoor was building new churches, the English Baroque style he had inherited from his mentor, Sir Christopher Wren, was being criticized by some connoisseurs of classical architecture. They favoured the ‘Palladian’ style that had originally been introduced into England from Italy by Inigo Jones in the early 17th century, which came back into fashion during the first half of the 18th century. A fine example of the style is Chiswick House in west London, designed by William Kent for the Earl of Burlington. Five new general hospitals – Guy’s, Westminster, Moorfields, St.George’s and Middlesex – were founded in London between 1720 and 1745, all of which began as charity hospitals and went on to become great institutions. In several cases the architects gave their services without remuneration and served as governors. The heavily-congested London Bridge remained the only dry crossing over the Thames downriver of Kingston but after Robert Walpole was delayed waiting for a ferry a Parliamentary Act was passed in 1725 for a new bridge to be constructed between Putney and Fulham. As the western suburbs grew in size increasing numbers of people were inconvenienced by having to cross the river by ferry and in 1736 a new Act was finally passed to construct a bridge between Westminster and Lambeth. It was the first to be built near London since the 13th century and the government commissioned a Swiss engineer to build it. After the completion of the new Westminster Bridge in 1750 old London Bridge looked particularly ancient and it was widened and modernized, with its medieval buildings demolished. Following the opening of Kew Palace traffic there increased and a new bridge between Kew and Brentford opened in the mid-century, initially built of wood.